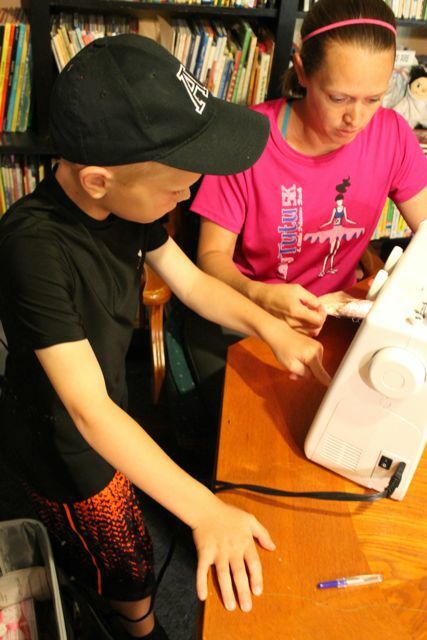 Sewing has become one of our family's favorite activities. My wife grew up learning how to sew from her grandmother, who kept her sewing machine next to the television. 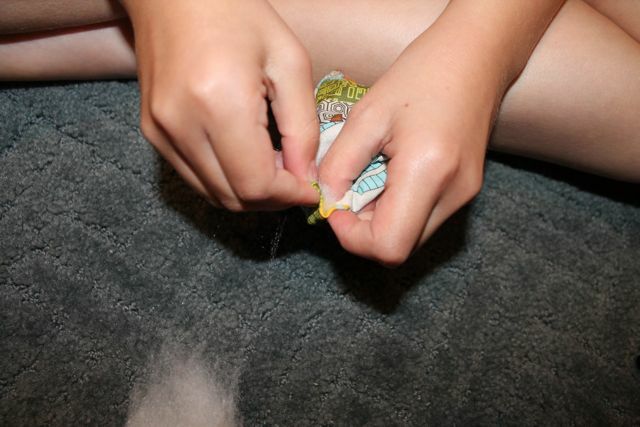 When her grandmother was making her own clothes, my wife made clothes for her baby dolls. 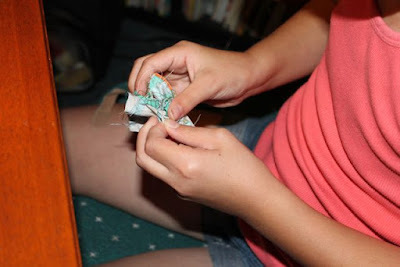 At the age of four, my oldest daughter was introduced to sewing by our dear neighbor. She was often invited over to her house for afternoon projects. The first things she made were a hand-stitched heart-shaped pillow and a doll blanket. Together they started making a quilt, but were unable to finish before we moved away. All of my children have had the opportunity to sew various projects with their mom and dad to celebrate author and illustrator birthdays; pillowcases, art smocks, "messy" cloths for babies, Little Red Riding Hood cloaks, and stuffed-panda dolls. 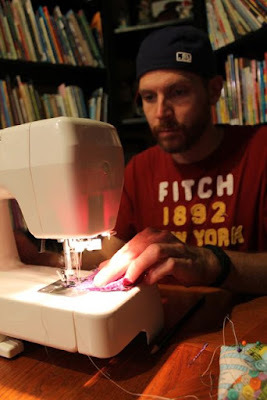 All of these experiences led my oldest daughter to ask if she could take sewing classes offered by a local artist. 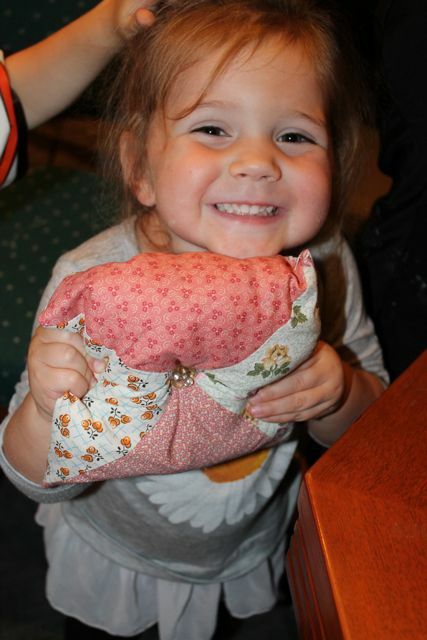 Of course, we said yes and during her first few classes she made a hair scrunchy, a drawstring bag and a tote bag. 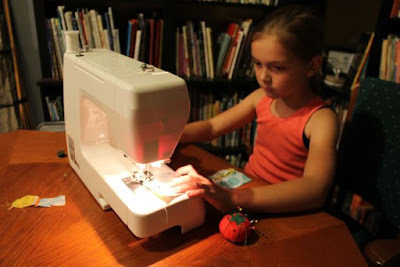 Now, she is looking forward to her next class which she will learn how to make her own pajama pants. 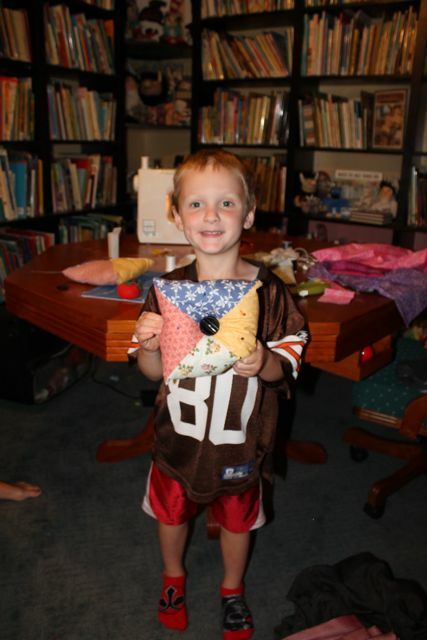 This week, Lesa Cline-Ransome's birthday gave our family another opportunity to sew together. My oldest daughter was super excited to make something she could use for her upcoming sewing classes and my youngest son was so proud of what he made that he declared, "I LOVE SEWING!" Lesa Cline-Ransome is the author of a dozen books for children including Light in the Darkness: A Story about How Slaves Learned in Secret, Words Set Me Free: The Story of Young Frederick Douglass, and Major Taylor, Champion Cyclist. When she was a child, her mother would take her to the library and they would check out stacks of books together. Lesa said, "My mother taught me that reading is a real escape." (National Book Festival). Also, her mother bought her first diary. "I first filled the pages with the "important" details of my life -- adventures with my friends, secret crushes and the many ways in which my family drove me crazy. Then I began creating my own stories. " (Lesaclineransome.com). Lesa said, it was with the diary that "my love of writing began." (The Brown Bookshelf). Lesa decided she wanted to be a writer in middle school, but lost interest in high school only to find it again in college when she wrote for the college paper. Not only did she find her love of writing at the Pratt Institute she also found the love of her life, children's illustrator James Ransome. Lesa took James' advice. While she was at home, after the birth of their first child, she began writing the manuscript that later become her first book, Sachtel Paige. "In between my daughter's naps and another pregnancy, I read and researched and wrote for nearly a year before an editor at Simon and Schuster decided to take a chance on Satchel." (Lesaclineransome.com). 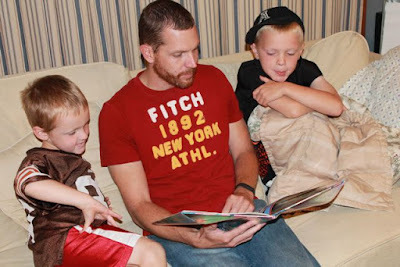 Lesa is now a mother of four children and amazingly she continues to write and publish books. She has found success writing non-fiction and picture book biographies. "I love peeking into the lives of other people! I like finding the most interesting parts of their lives and reinterpreting them for a new group of readers. I also love stories of unsung heroes, how they overcame obstacles." (Kirkus). Her latest book, is Whale Trails, Before and Now, illustrated by G. Brian Karas. We met Lesa Cline-Ransome and James Ransome at the National Book Festival in 2013. She shared her birthday with us and was so excited to know that someone would be reading her books on her birthday! 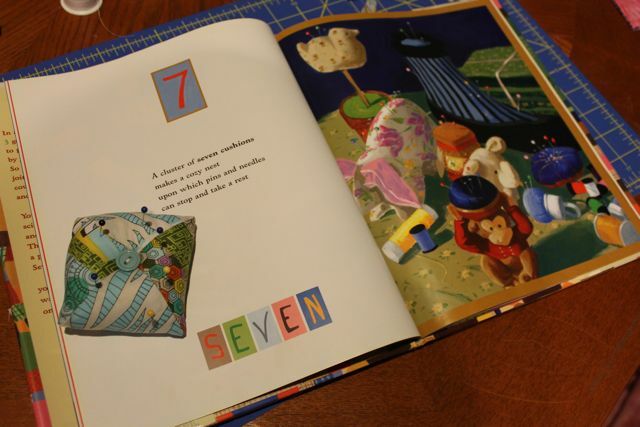 I am a huge fan of ABC and counting books. I thought Lesa's Quilt books would be the perfect books for celebrating her birthday with my family. Lesa signed our National Book Festival poster and wrote her birthday. The girls were busy getting the sewing supplies ready so my boys and I read Quilt Counting. 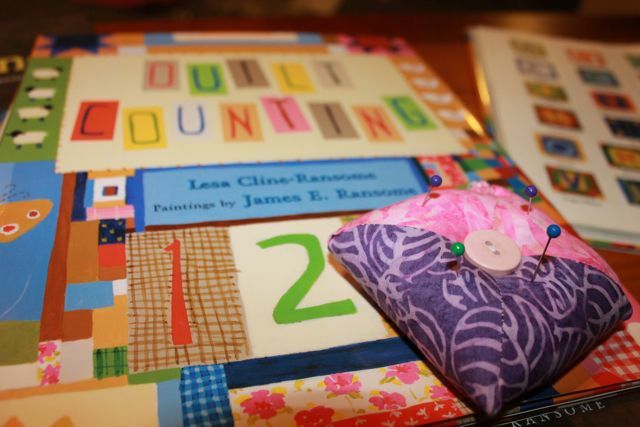 In this book, poems from 1 to 10 introduce readers to a grandmother, mother, and daughter preparing to sew a quilt together. All the supplies are readied until the first ten stitches are sewn. Then, poems from 10 to 1 tell about all the elements that were added to the quilt. 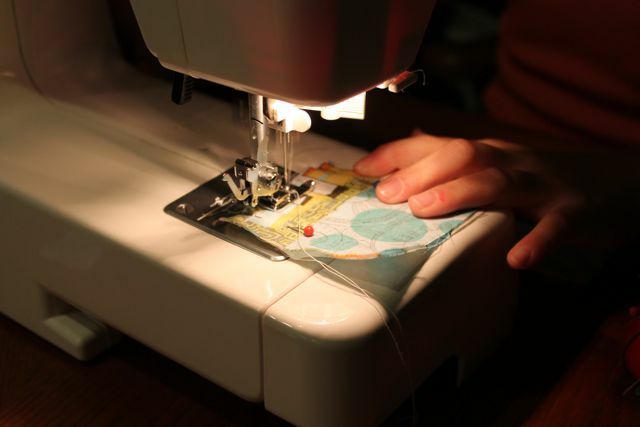 "For generations, women took scraps and pieced them together to create works of art and functional ways to keep their families warm. 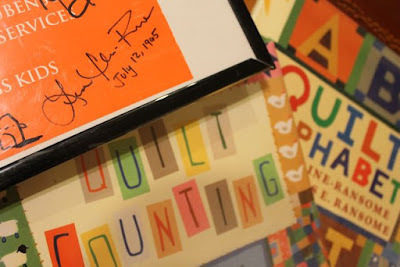 We wanted to find a way to celebrate quilts for young readers, so the quilt alphabet and counting books were born." (The Brown Bookshelf). 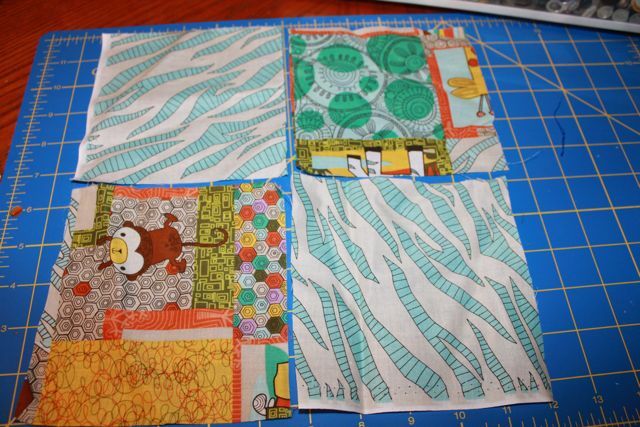 First, we cut four squares of fabric. 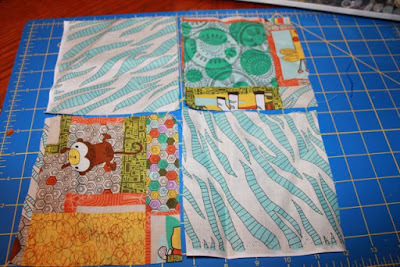 We started with 5 inch squares but realized they were much to big. Later, we cut them down to 3 inch squares. We stacked two squares on top of each other with the front of the fabric facing inside. 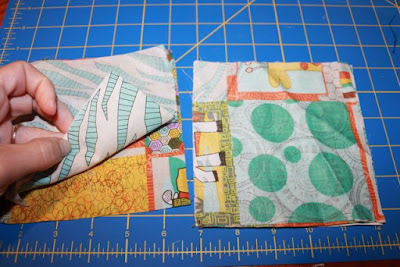 We pinned the fabric together and sewed the right edge with the sewing machine. 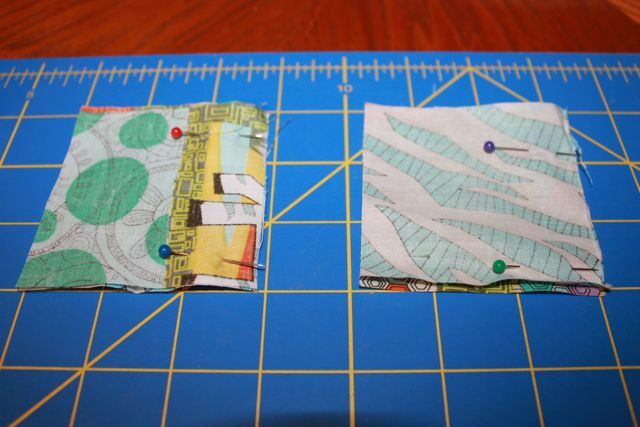 Then, pinned together the two pieces with the front of the fabric facing inside. 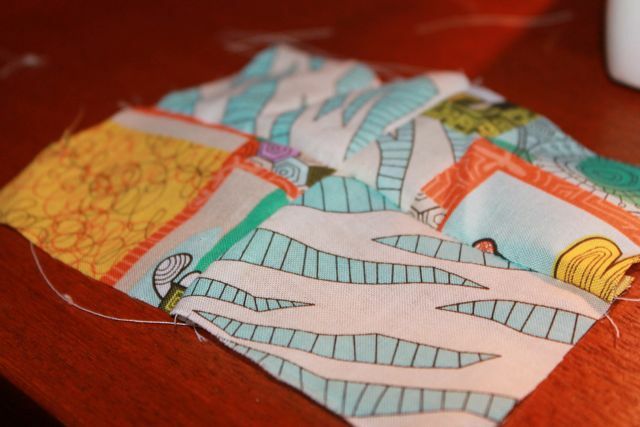 The right edge was sewn. We opened the fabric to make sure the lines were even. 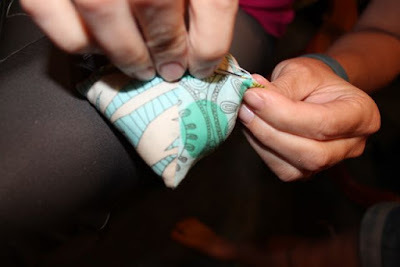 Then, folded it back in half. We stitched a seam along the left and the right sides. The next step was tricky. 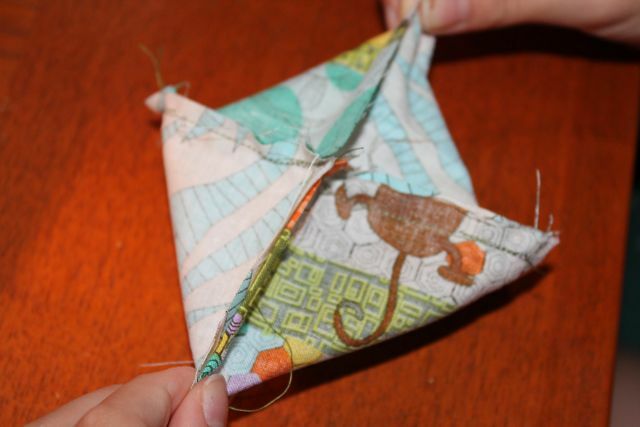 We held the center of the unsewn edge and pulled apart to make a diamond shape. This new seam was sewn leaving a small hole to allow it to be turned right-side out. 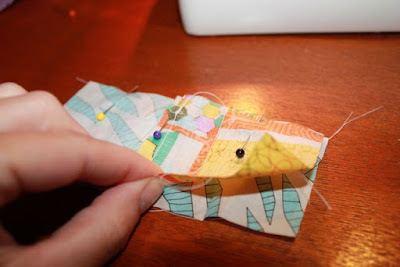 Next, we turned the fabric right-side out. Batting was used to fill the cushion. 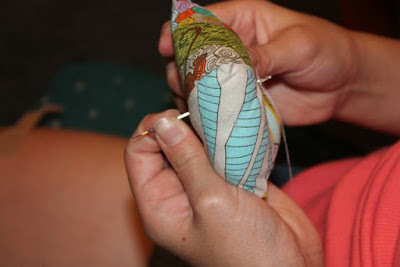 A hand-stitch was used to close the opening. We tufted a piece of thread to the back of the cushion. 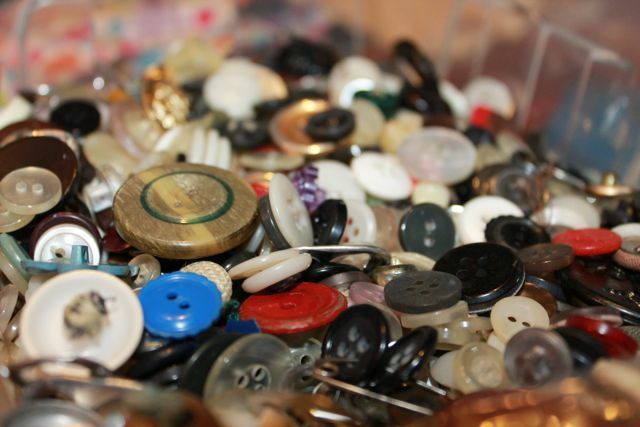 Our button box gave us many possibilities. My oldest daughter's pin cushion!! 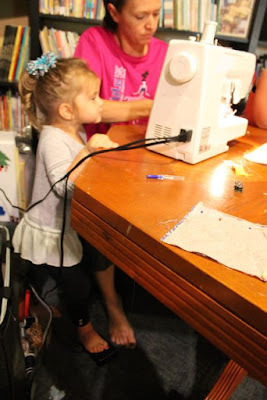 Everyone in the family had a chance to work the foot pedal of the sewing machine. My oldest son was lucky that he was able to control the forward/backward button too. 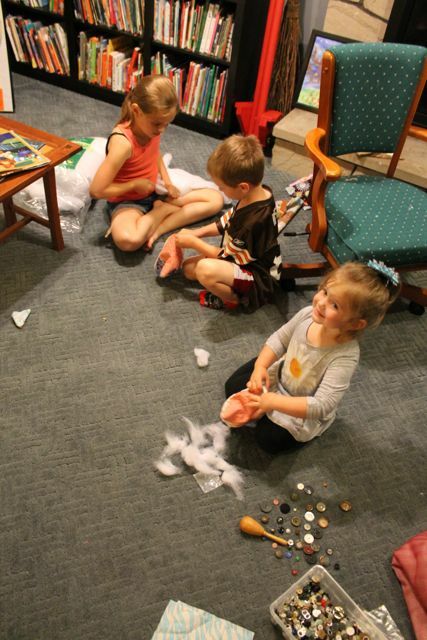 It was a pin-cushion-stuffing party! 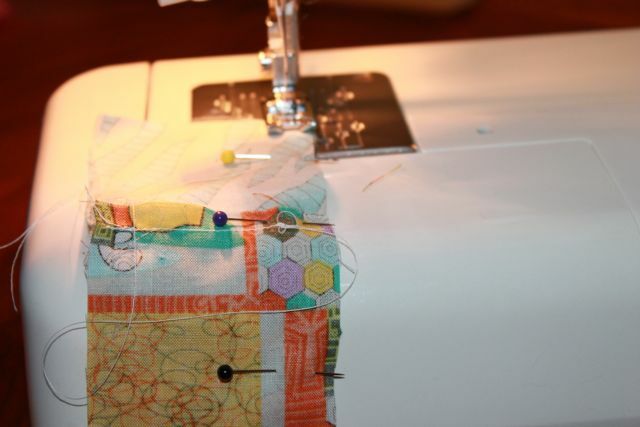 Lesa Cline-Ransome said, "Though I do not sew, I am inspired by those who do." (The Brown Bookshelf). 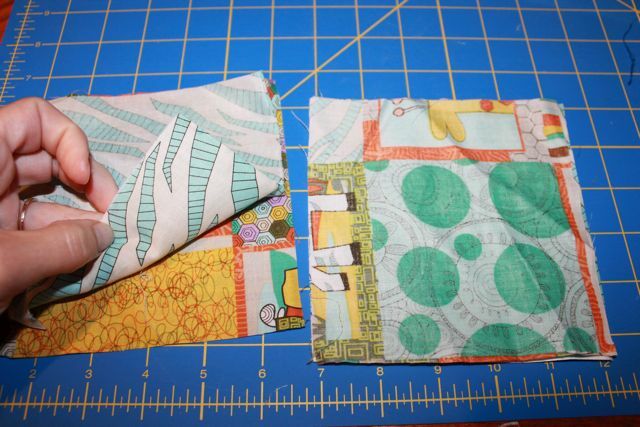 We used the 5 inch squares for our youngest children. We thought it would be easier for them to manipulate a larger cushion. 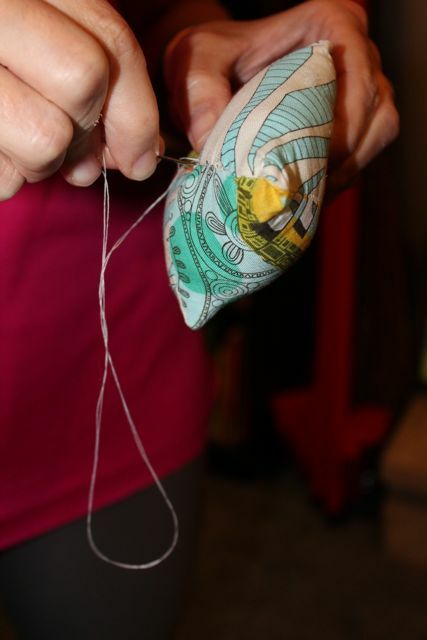 Plus, their pin cushions could also work for doll pillows! He said, "I love sewing!" 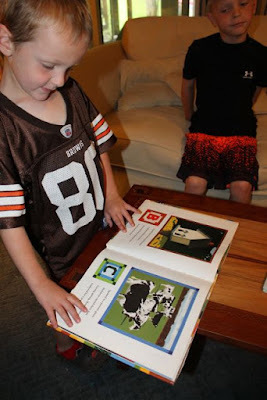 He couldn't resist reading Lesa Cline-Ransome's Quilt Alphabet. 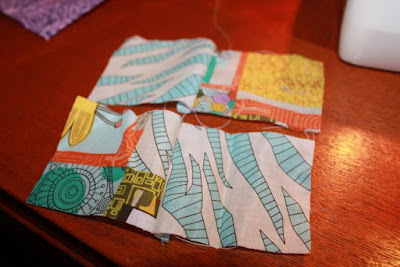 I was not going to be left out of the sewing fun! 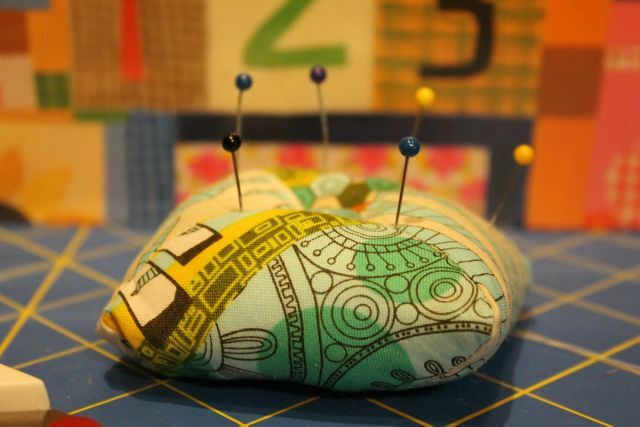 I made my own pin cushion, too! My youngest son said, "Let me stitch that closed for you, Dad!" And he did! This was the page that inspired this author birthday celebration activity! 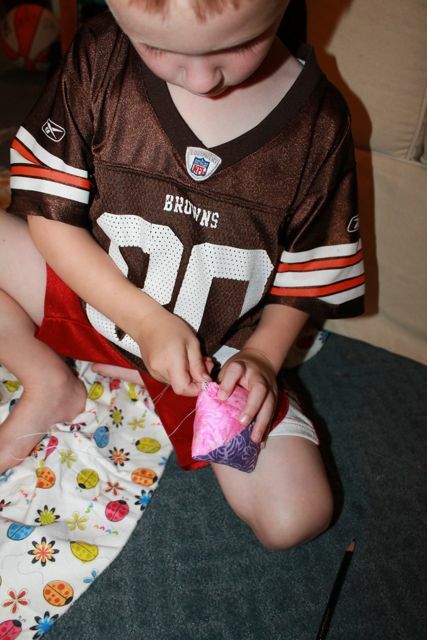 Lesa, thank you again for sharing your birthday with us! We had so much fun reading your books this week! We hope your four kiddos (and James) spoil you for your birthday!! !